Join other parents and babies as they fill their day with talking, reading, and singing in our Talking is Teaching Storybook! Photos of other babies often spark children’s interest, and the personal connections you make on each page of this book will help your child relate to her own everyday experiences. 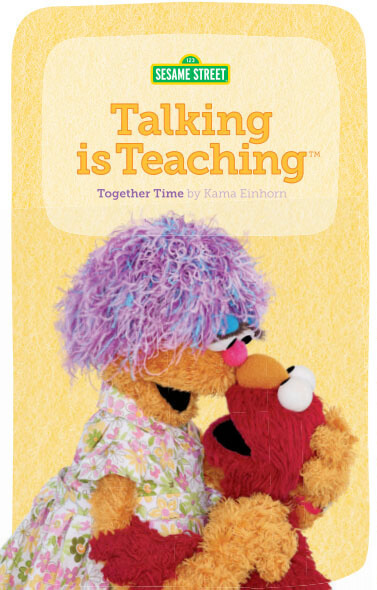 This storybook was developed by Too Small to Fail and Sesame Workshop.